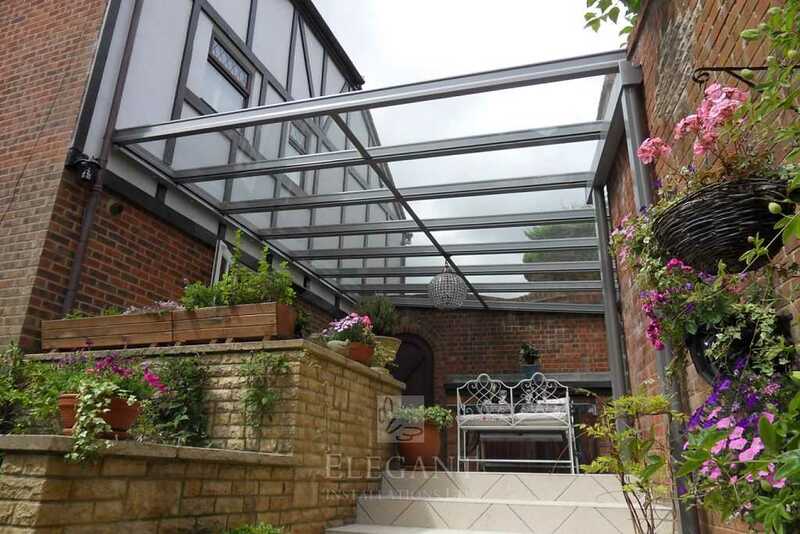 When we first visited this client in Sussex he’d already seen two other firms quoting for a glass veranda in this walled patio. Proposing stand-off brackets along the wood beamed facade, intentions seemed to be to construct a fairly standard rectangular shape veranda, with a solid infill along the tapering brick wall at one end. 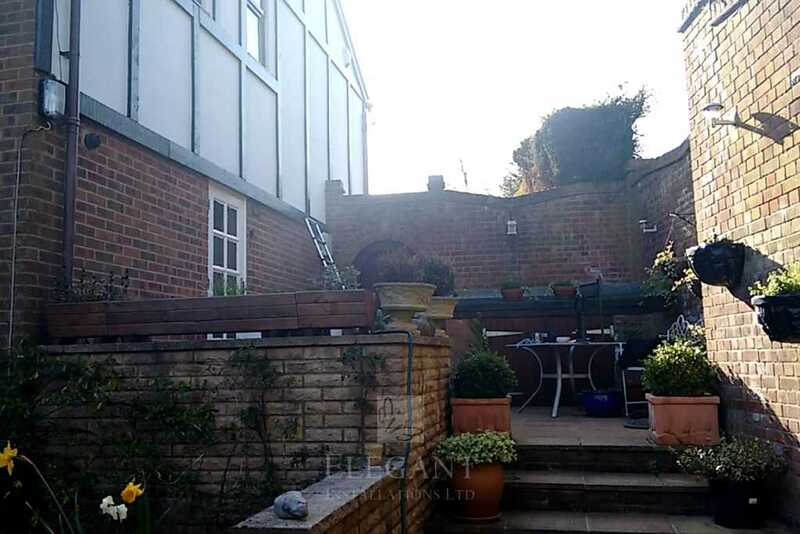 Looking at the completely irregular shape of the courtyard, its garden walls all off-square to the house, we demonstrated how our talented installation team could achieve better for the client here. 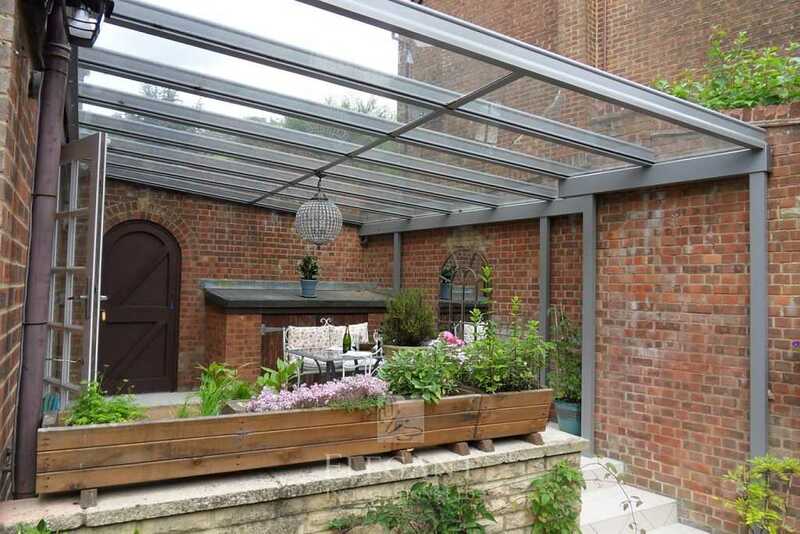 Our full time employed craftsmen can undertake tailored fitting not considered by others contractors, and could bespoke fit this glass veranda hand-in-glove to the areas angles – roofing the courtyard completely. 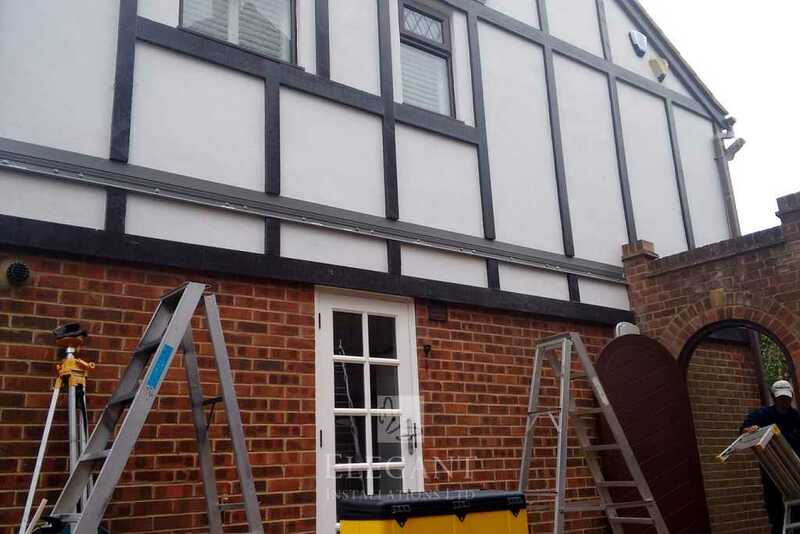 This glass verandas wall attachment should be cut into the tudor style wooden house beams, this providing a more secure and neater finish than building-off the wall using infills. 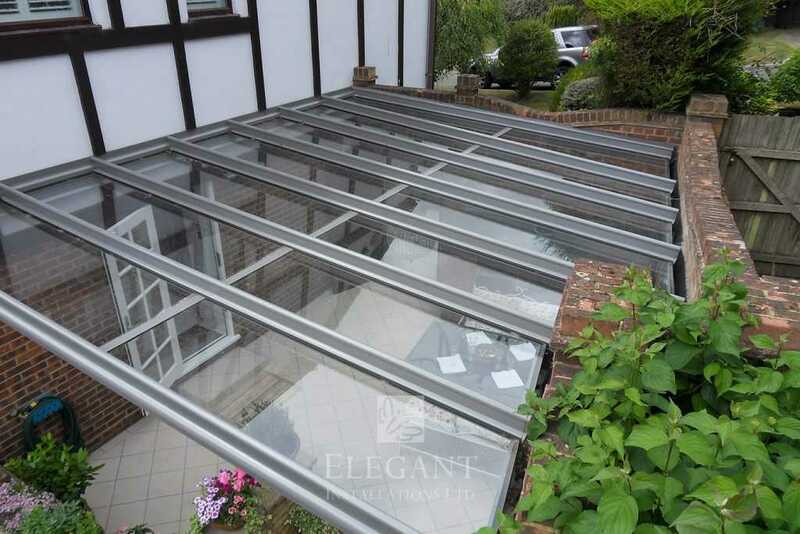 The glass veranda roof must be custom shaped; having a twin projection to the front (due to the offset brick wall), and in particular it must taper along its front and side due to all these garden walls being noticeably off-square to the house, and off-square to each other. 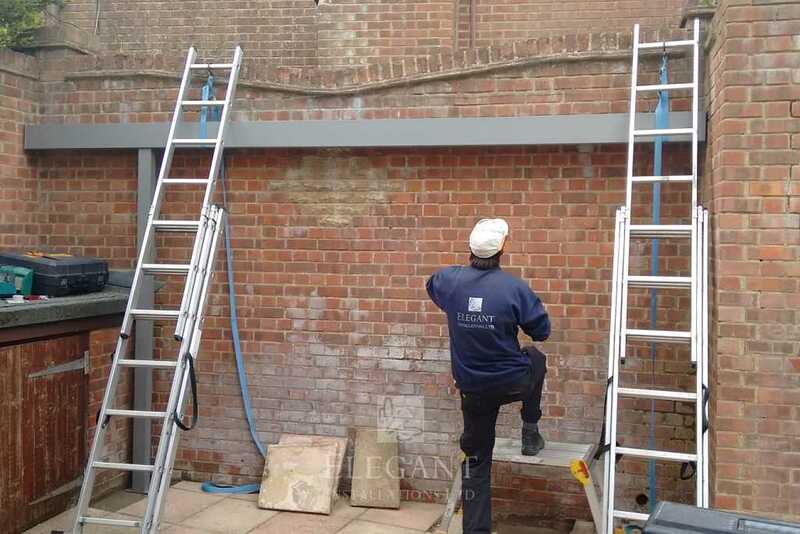 This custom fit shall be achieved by hand, cutting all profiles on site, ensuring a perfect fit that stands only millimeters off the brick walls for an expansion gap. Finally, every unique tapering glass panel will be individually measured and ordered accordingly. Walled in brick, with only one side open, this impressive glass veranda feels more like a glass room. The client was further pleased at having a chandelier lamp wired within the structure, and the unique bespoke build of this veranda stands as a testament to time served experience, and to what can be achieved when a little extra effort is made.